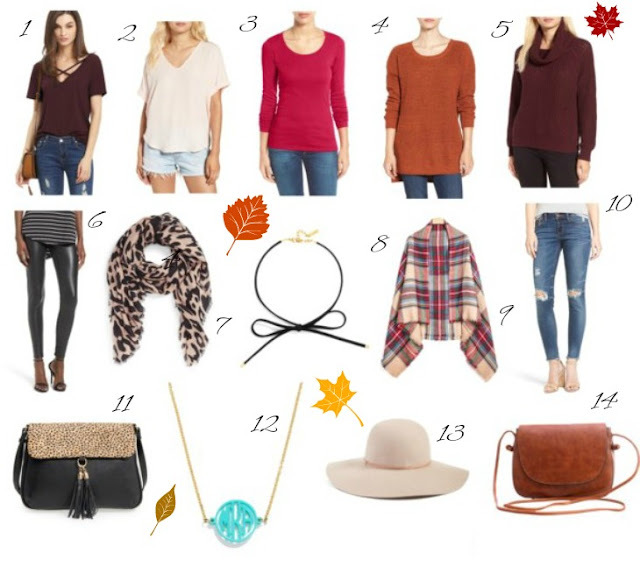 There are so many chic fall clothes and accessories out right now! Today I've rounded up a few of my favorites at different prices for you to shop. I love the SheIn Plaid Fringe Scarf...it's a lightweight blanket scarf and you can't beat the price ($6.89)! I've also been shopping for choker necklaces lately (I can't believe they are trending again but I'm liking the new styles!). Baublebar has a great selection- I love this acrylic monogram (especially in blonde marble) and this bow choker. Also, if you're looking for cozy fall sweaters, Nordstrom has a huge selection- like this textured knit pullover. The rust color is perfect for fall!